Should I Have an I-94 in my Passport? All travelers with or without visa will be asked to complete an I-94 Arrival/Departure Record form before landing in the United States. 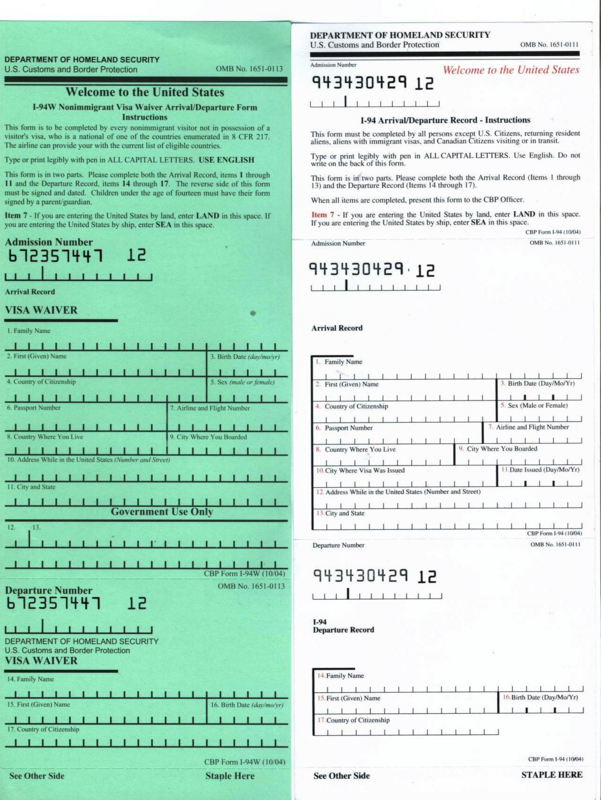 Travelers without a visa use the green form and travelers with a visa use the white from. You can’t mail or take your I-94 to a U.S. Consulate or Embassy to any other CBP Office in the United States or to any address other than the one above. Go here to read more about what to do if you didn’t surrender your Form I-94. 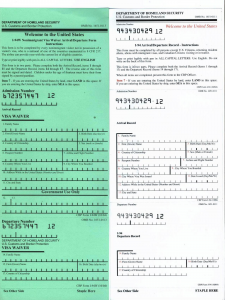 Starting in the summer of 2010 the I-94 is no longer required for nonimmigrant visitors traveling under the Visa Waiver Program by air or sea and who have obtained a travel authorization via the Electronic System for Travel Authorization (ESTA). This means that if you entered under the Visa Waiver Program by air or sea you will not have an I-94 in your passport. Form I-94 will continue to be required if you enter at a land border. What Happen at a Port of Entry?